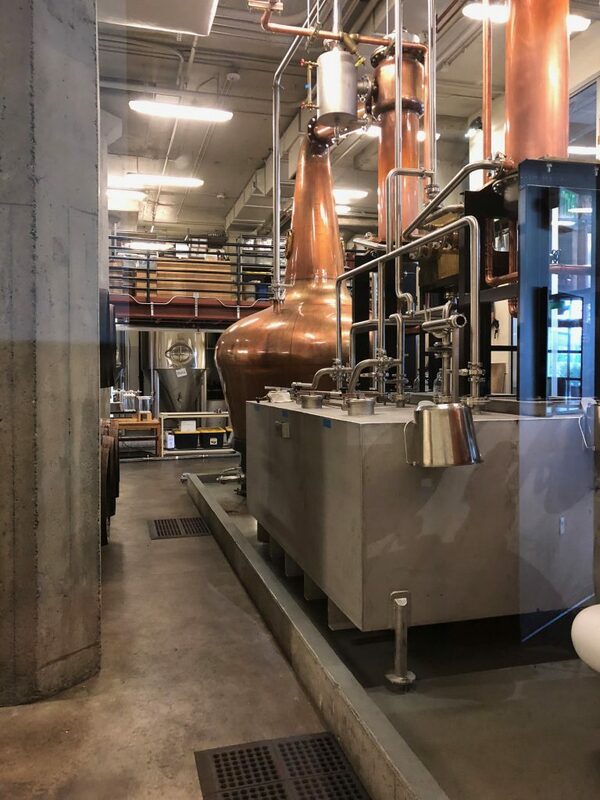 While down at the pier in Seattle we stopped by Copperworks Distilling Company for a quick tasting. 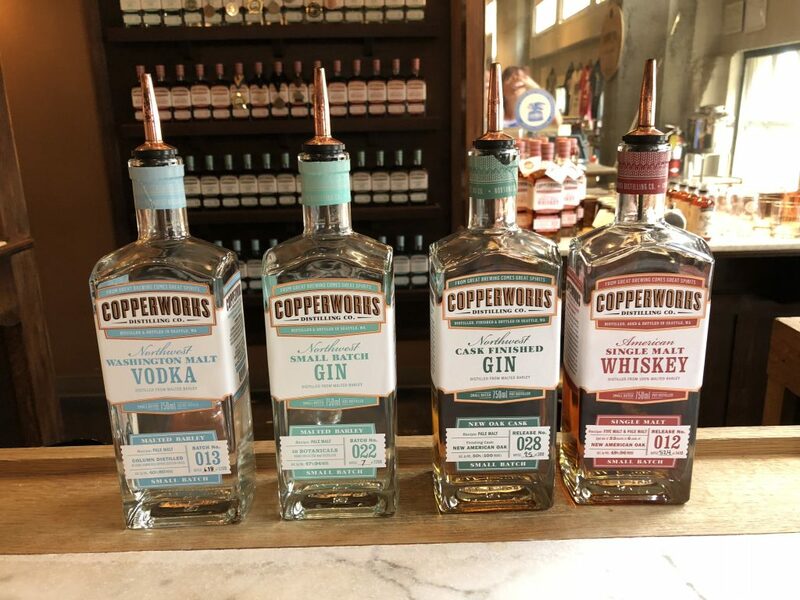 Copperworks is an urban distillery offering a Washington Malt Vodka, Small Batch Gin, Cask Finished Gin and finally… a Single Malt Whiskey. Their Single Malt Whiskey is aged 33 months and surprisingly, it doesn’t taste it. I would have assumed it was aged 4 years or more. It’s smooth, has aromas of fresh leather and spices and a finish of tea and light citrus. 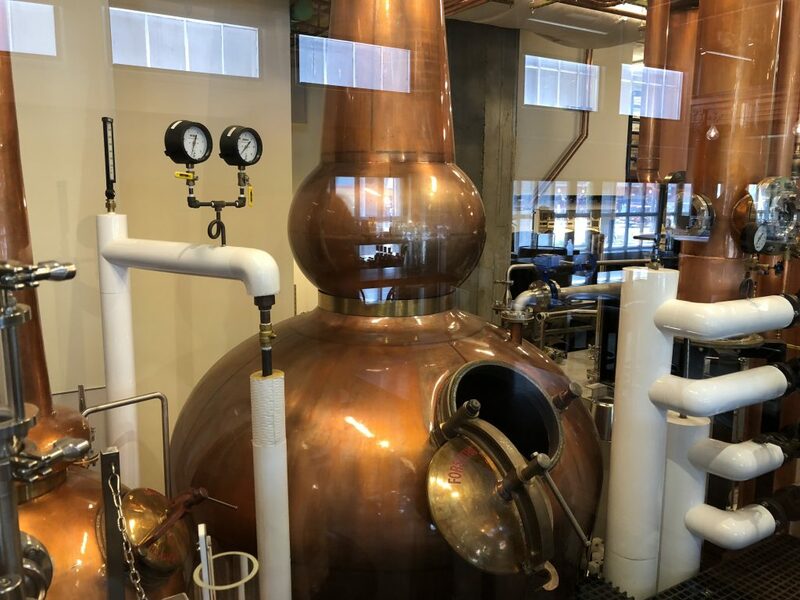 All of the stills are in plain site of the tasting room and at this time, tours are $15. I recommend doing the tasting of all 4 spirits for $10 (free if you buy a bottle). The tasting turned me off at first since I’m not a huge vodka fan and normally can’t stand gin but the Cask Finished Gin was actually awesome! The botanicals weren’t overwhelming like cleaning products and it was really smooth going down.